This weekend turned out to be the weekend for movie-watching. The kids spent Saturday night in Little Rock with Shan's Mom, so Shan and I decided to go to T-Town (that's Texarkana, for the uninitiated) for dinner (that's supper for my southern readers) and a movie. We opted for Applebee's to try their Trio Combo thingys. Shan ordered Buffalo Wings, Mini Bacon Cheeseburgers, and Fajita Beef Towers. I chose Mini Bacon Cheeseburgers, Ciabatta bread with garlic sauce, and mozzarella sticks. Everything was delicious! And, the real kick is that we were in, seated, served, and done in less than 30 minutes! Holy cow! I will say, there are some laugh-out-loud moments in the movie, and the "special appearances" were very funny, too. There were also some very touching moments regarding Larry (Kevin James) and his deceased wife. It was amazing to see how little Tyler was and how smart he was at that age. It was amazing to see Dad running around and laughing as much as he was. It was hard at times to try and wrap my brain around everything I was watching - my son, who is now 10 years older than the toddler in the video, and my Father, who is now passed away, just 10 years after this video was shot. Two very different, conflicting feelings happening so strongly within me. Shan asked me if it was hard to watch the video of my Dad. I couldn't explain it then because I didn't understand what was going on in my head (and still don't, but at least have been able to write some of it down here so I can verbalize it), but all I could say was something like, "sometimes, kinda..."
Tim McGraw's latest song, "If You're Reading This" always makes me think of Dad. I know, he was not killed in combat, but he was over there, and though he did not carry a gun (that I know of), he hung up his armored vest, helmet, and boots in service to our country. Before I was a glint in his eye (and maybe after I was born, too, I can't remember the timing of all that), he served in the Air Force. I was reading a computer magazine I get and there is a new game (well, a sequel) coming out, "Mafia II." Dad loved "Mafia." 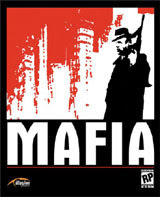 I saw the ad, and instantly knew that Mafia is a game he would buy the day it hit the shelves. There are a lot of things that make me think of Dad. I pray there are always those kinds of things. 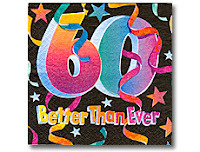 On another note, we surprised Shan's Aunt Linda today with a 60th birthday party. Family from all around came to Little Rock to surprise her! It was great to see her reactions! It was a weekend of movies, family, reminiscing. It was a good weekend! Not in the Top 10! Swerving - Watch out for those asterisks! Indians grab AL Central Title! Manhole covers can't keep up.